I finally got my paws on the Pippa palette after buying it online two weeks ago. I couldn’t wait for it to arrive after hearing so many good things about it. My first impressions after ripping the package open with excitement was that it was smaller than I thought it would be, but all good things come in small packages “right”. I swatched the colours on my hand to see what they were like and fell in love. Each colour is named after a member of Pippa’s Family which is such a sweet personal touch. The palette includes 6 must have eye shadow shades, a beautiful dusty pink blusher, one bronzer/contour shade which has a greyish undertone making it the perfect shade to contour with, and a glistening gold highlight. Each shade is super pigmented. I used the palette for todays make-up look (see picture) and loved how easily each shade blended together making it super easy to use. For me this has to be added to my must have list of beauty products because its everything you need in one. Its compact so it will easily fit into your make-up bag and includes every colour you will need to take you from a natural day make-up look, to a beautiful smoky eye for a night out. You wont ever again have to worry about bringing any other eye shadow palette with you. 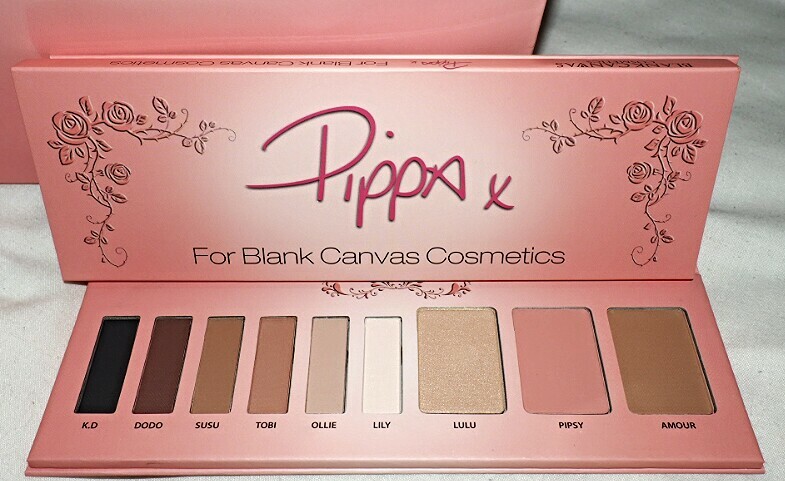 The Pippa Palettes got you covered. A new favourite and the first thing I will grab when putting on my make-up.